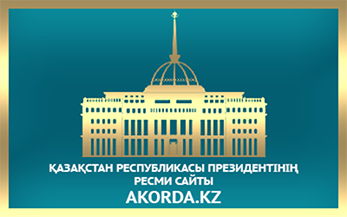 The Ak Zhol party faction in the lower chamber of Kazakhstan’s parliament sent a parliamentary request to the Kazakh Prime Minister, Bakytzhan Sagintayev, to consider the possibility of naming the country as the Kazakh Republic. The request was read out on January 23 at the plenary session of the chamber by the chairman of the Ak Zhol party faction, MP Azat Peruashev. «This isn’t renaming», he explained. «Along with the use of the commonly taken name «Kazakhstan», we propose to consider the possibility of restoring the official title of our country – «the Kazakh Republic», said Peruashev, adding that the return to the original title, «the Kazakh Republic», will mean making things right and give a tremendous impetus to the unity and friendship of compatriots of all nationalities. The request had been signed by all members of the Ak Zhol party parliamentary faction. At the time of Kazakhstan’s independence in December 1991, a proposal was made to name the young sovereign country «the Kazakh Republic», but it was rejected by the majority of the population of the country, where representatives of more than 120 nationalities and ethnic groups live. Such an initiative by the Ak Zhol faction’s leader and his fellow party members in the lower chamber of Kazakhstan’s parliament came as no surprise. Similar proposals had been made on several occasions in the past, but there had been no visible movement from words to deeds until recently. In autumn 2016, Kazakhstan Senate chairman Kassym-Zhomart Tokayev said that it was necessary to change his country’s name in English. According to him, «Qazaqstan» is a word that more strictly conveys the Kazakh version than its present internationally accepted name. In English, «QAZAQSTAN reflects more accurately the essence of our state than KAZAKHSTAN», wrote Kassym-Zhomart Tokayev on his Twitter page. He was also not new to this business. Nearly five years ago, there were reports that Kazakhstan’s President Nursultan Nazarbayev did not like the name Kazakhstan. The Kazakh leader too offered an initiative to change his country’s name in English, saying the ‘stan’ at the end puts off tourists and discourages investors. «Kazakhstan has the ‘stan’ ending like many other nations of Central Asia. At the same time, foreigners take an interest in Mongolia, the population of which makes up only two million, but its name does not end in ‘-stan’», he told onlookers while visiting a school in Atyrau, according to his official website. «Perhaps, eventually it would be necessary to consider an issue of changing the name of our country into the «Kazakh Nation», but first of all, it should necessarily be discussed with people». (His proposed name would be rendered as «Kazakh Eli» in English). There are seven countries in the Central and South Asia region with the suffix ‘-stan’: Kazakhstan, Tajikistan, Uzbekistan, Kyrgyzstan, Turkmenistan, Afghanistan, and Pakistan. The suffix comes from the Persian word ‘istan’, which means ‘land’ -hence the «land of the Kazakhs», «land of the Uzbeks», and so on. Pakistan is in some ways an exception to this trend: Its name means «land of the pure». 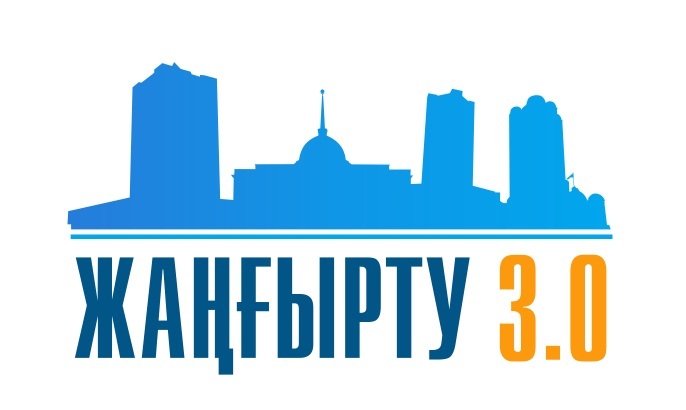 Under President Nazarbayev’s leadership, Astana has shown inclination to rename Kazakhstan. Mention could be made in this regard of some cases which have presumably given an impetus to discussion on this issue. We would like to briefly refer to two of them. The first case relates to a movie hero. When the Kazakhs, frequently travelling or permanently living abroad, are asked about the biggest misconception of their homeland they nearly always come back with one unsurprising answer: Borat. This is, of course, the famous titular character from the 2006 comedy movie «Borat: Cultural Learnings of America for Make Benefit Glorious Nation of Kazakhstan» by British actor and film producer Sacha Baron Cohen. Although, it would seem, time heals some wounds, its pop-cultural impact still remain a significant problem not only for the authorities, but also for ordinary citizens of Kazakhstan. In that regard, let’s consider two relevant stories. SportsKZ, in a report entitled «Многие смеялись, называя нас страной Бората». Казахстанская могулистка — о поведении евро­пей­ских спортсменов» – «Many people laughed, calling us Borat country». A member of the Kazakhstan women’s moguls ski team on the behavior of European athletes», quoted Ayaulum Amrenova, a Pyeongchang Winter Olympics participant, as saying: «Some athletes can be abusive with their rivals in a sporting contest or other competition. I don’t let myself go like that. It’s my belief that we need to be friendly and respect everyone. – How does this abusiveness manifest itself? – When we were at the competitions in Europe, many athletes had laughed at Kazakhstan, calling it Borat country. I was very angry with these people. They think everything in our country is as it was shown in that movie, despite the fact that it was filmed not in Kazakhstan and not by our directors, and none of the Kazakh actors were involved in it. It was very rude of them. It shows their ignorance». This girl, Ayaulum Amrenova, is only 16 years old. You could say that she’s still just a kid. Therefore, the domineering attitudes towards her, expressed by the European women athletes, look all the more discouraging and disheartening. And that is to be regretted. In the West, some people used to make – through the Borat reference – a mockery of our country, kind of the laughing stock to the entire world. This is just what it is. Yet in fact, the Borat character has already very little to do with on-going ridiculing our state and our citizens by foreigners. At the same time, it is still used as a pretext or a justification for making fun of anything related to our country’s name, Kazakhstan. That’s something you wouldn’t want to experience, if you had a choice. Alas, there’s nothing that can be done. Besides, some attempts have already been made to mock us in our own country. Their motives for wearing the mankini in sub-zero temperatures have yet to become public but for the stunt an Astana court fined the six Czechs about £51 each. Although some citizens of the Central Asian country found the story amusing, others took to the internet to vent their anger at the Czechs, with one posting on newtimes, a Kazakhstani news website, that the police «should have left them to freeze». Another wrote that the «insolent foreigners should have been put in prison for 15 days.» Some of the anger aimed at the Czechs could stem from lingering resentment in Kazakhstan over the way the country was portrayed in the Borat film. According to Borat, the local wine, for example, is made from horse urine, and gay men have to wear blue hats. At the time of its release in 2006 Kazakhstan banned the film and threatened to sue Mr Baron Cohen, who had also written and produced Borat along with playing a central role in it». The second case relates to one of the most remarkable persons in world politics. In February 2013, then US Secretary John Kerry invented the nation «Kyrzakhstan» in a speech on the eve of his first trip abroad as secretary of state, which was presumably a mash-up between the Central Asian republics of Kyrgyzstan and Kazakhstan. A year after that, President Nursultan Nazarbayev proposed «Kazak Eli» – or «Kazakh Nation» – as a possible alternative to Kazakhstan.